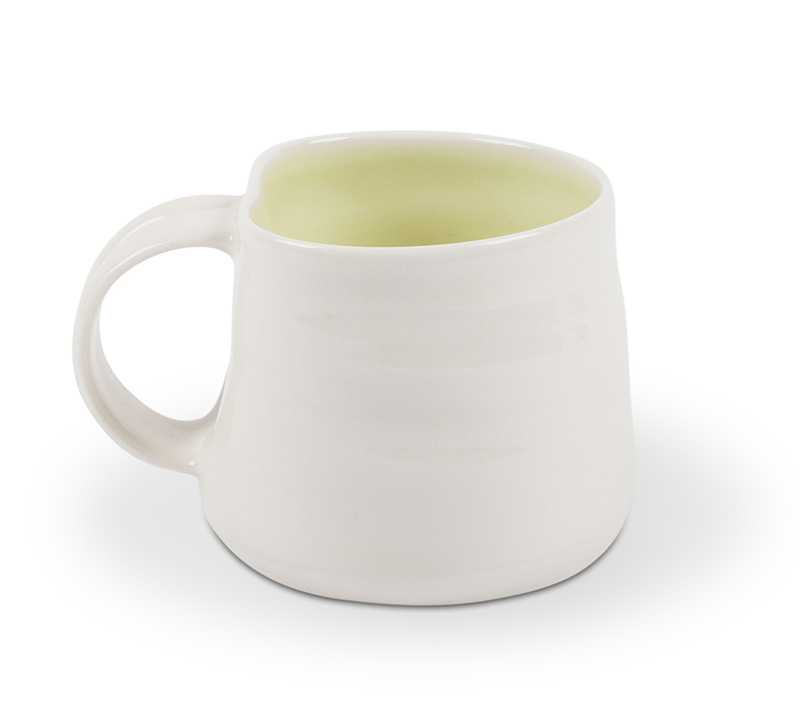 Wheel-thrown porcelain mug with indented line on handle. 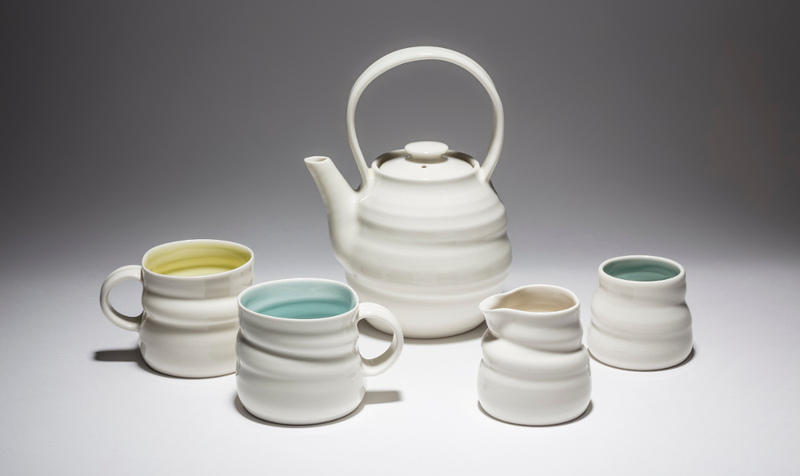 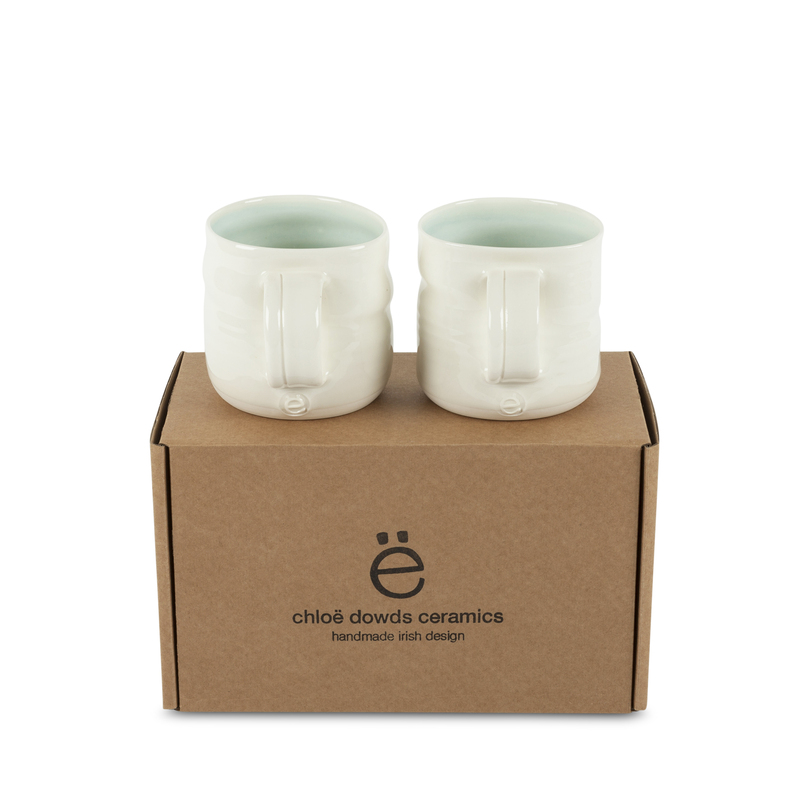 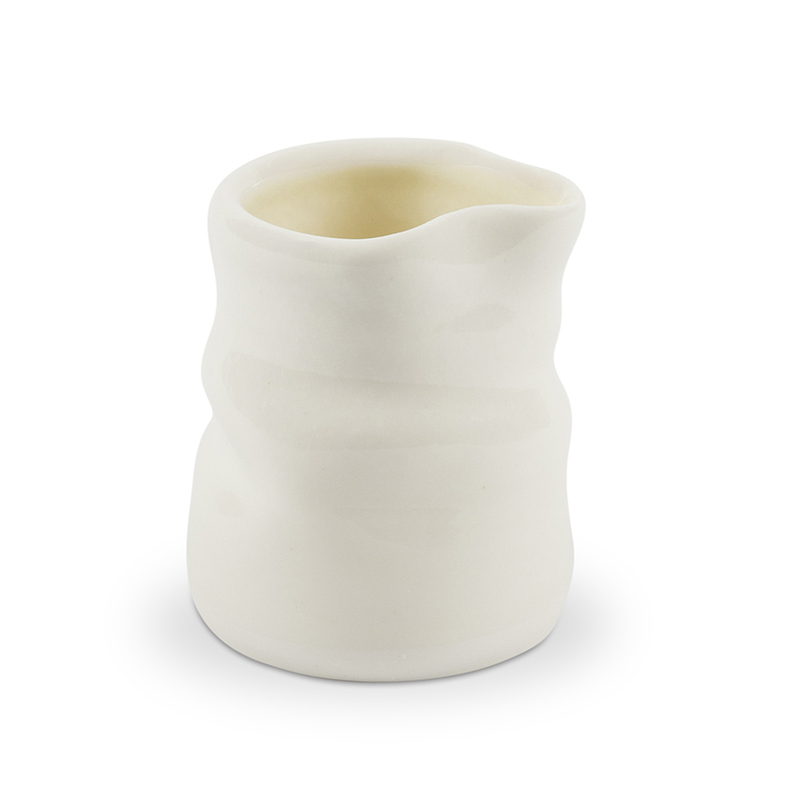 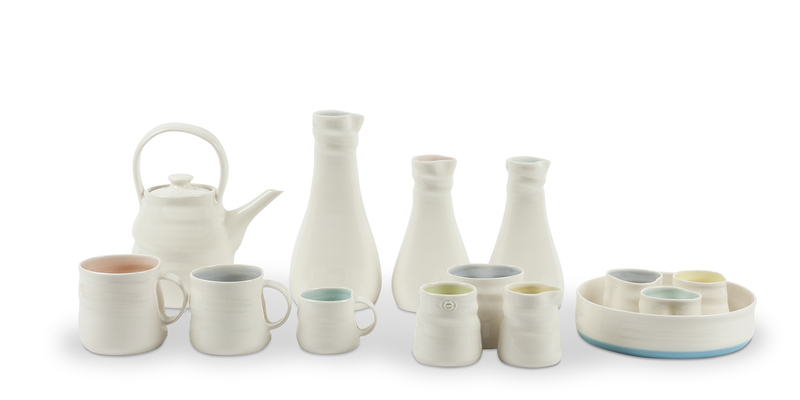 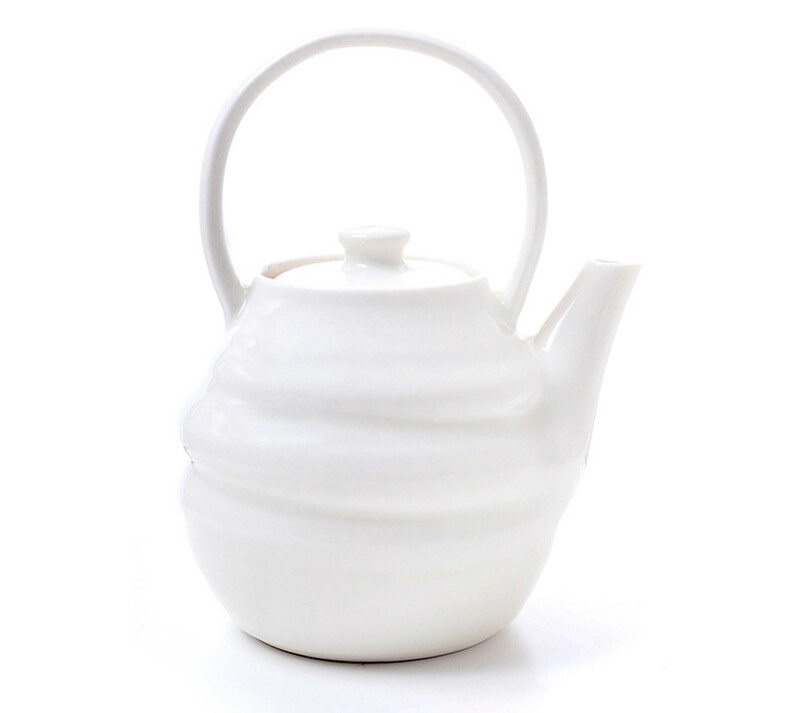 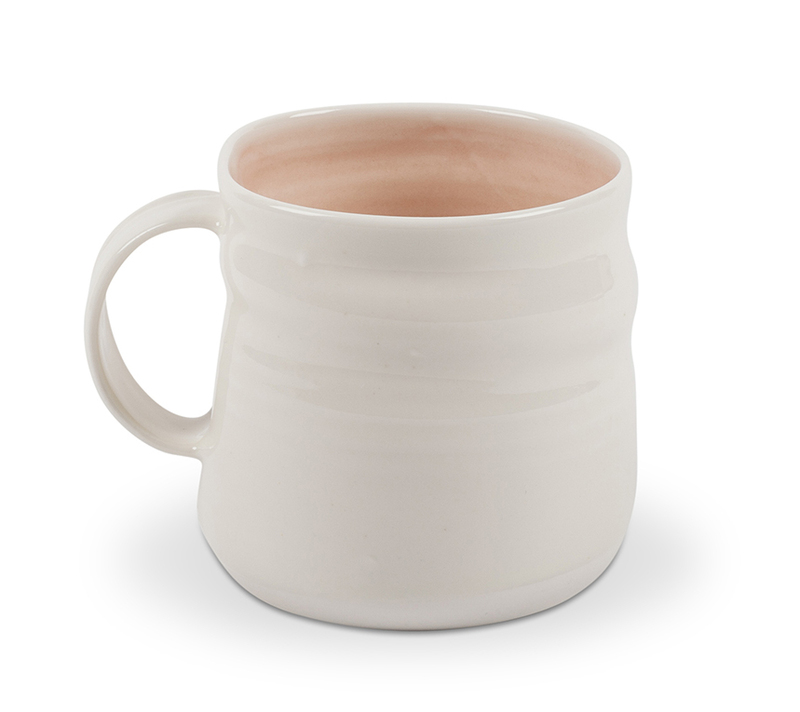 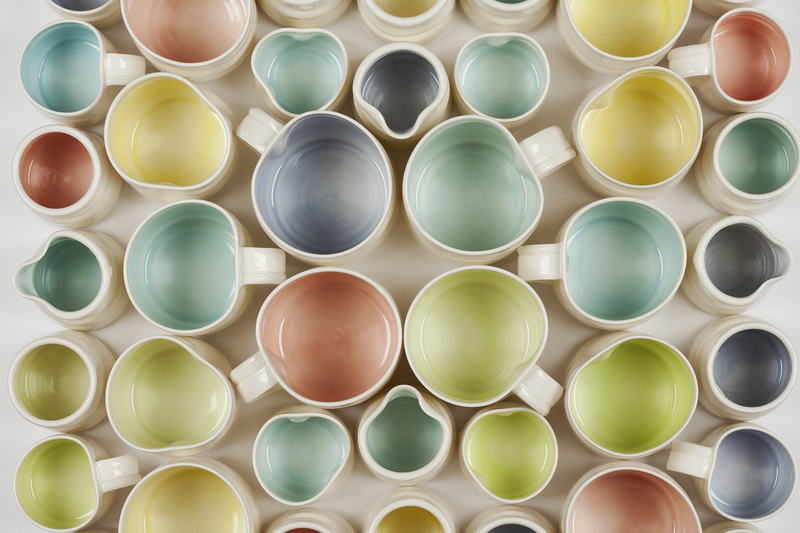 Soft throwing-lines and a thin rim make this mug very tactile and comfortable to use. 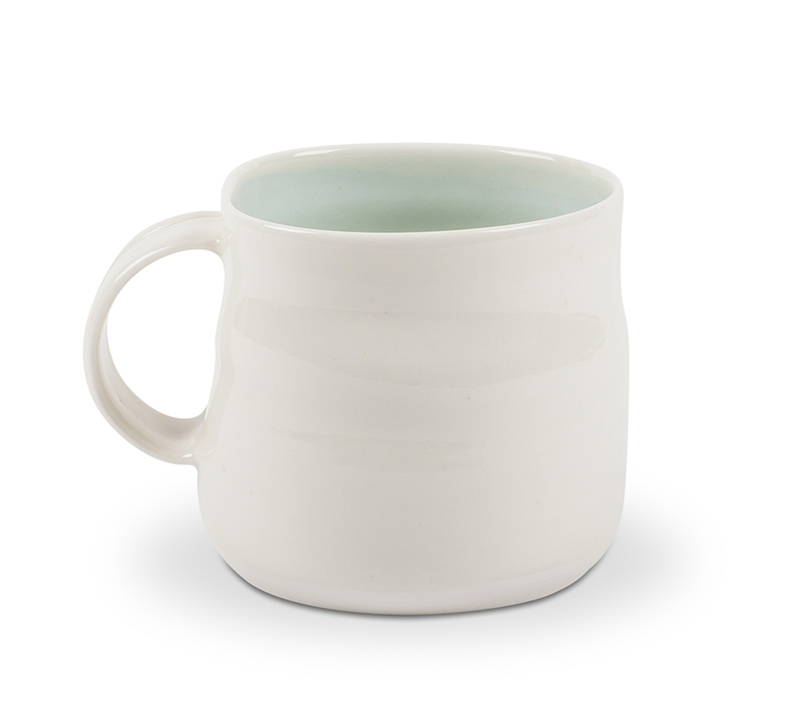 The base of each mug has been individually polished leaving it smooth to the touch.